JAKARTA, -- With its GDP growth of 5% in 2016, Indonesia is undoubtedly one of the most economically dynamic countries in Southeast Asia. At the same time, after years of arms embargo imposed by the United States between 1991 and 2005, due to the situation in Timor, the needs of the Indonesian armed forces are significant. Hence, the goal of Jakarta to bring its military spending to $ 20 billion by the end of the decade. According to the Stockholm International Peace Research Institute (SIPRI), they have already increased by 150% between 2006 and 2015. Also, the Indonesian defense market has something to appeal to European and French weapons manufacturers. Recently, Nexter was awarded a new contract to deliver an additional 18 CAESARs (truck equipped with an artillery system) after a first order for 37 aircraft. And, a few days ago, Jakarta confirmed its intention to acquire A400M Atlas transport aircraft from Airbus. In the maritime sector, DCNS is no exception. On the sidelines of President Hollande's visit to Indonesia on 30 March, the French industrialist signed a memorandum of understanding with the PT PAL shipbuilding company to strengthen their cooperation in submarine and surface The framework of the Franco-Indonesian Defense Dialogue (IFDD). It has now been a few years since DCNS hopes to deliver Scorpene 1000 submarines to Jakarta. 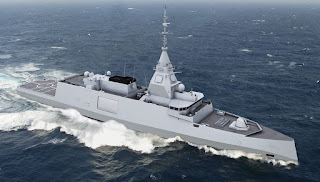 This ship "is particularly suitable for the Indonesian navy, given that it is an archipelago", explained the French shipbuilder in October 2015. "This submarine was designed to navigate And it is very difficult to detect because of the shallow depth of the coastal waters, " he also said. Currently, the Indonesian Navy has two Type 209 submarines of German origin. And three more, acquired from South Korea, will soon be put into operation. In a statement announcing the signing of this Memorandum of Understanding, DCNS recalls that it has already cooperated with PT PAL in recent years to "identify the best industrial solution for today offering a multi-purpose submarine Of the last generation of the Scorpene class ". It is now a question of going further by studying new possibilities concerning corvettes and frigates, ie the Gowind 2500, the FREMM, and even the Intermediate Size Frigates (FTI). "As a European leader in naval combat systems, warship designer and builder, DCNS is committed to establishing long-term partnerships with Indonesian industry to enhance its capabilities and capabilities on high-tech systems "Commented Hervé Guillou, the CEO of DCNS. "Our cooperation with the biggest PT PAL shipyard in Indonesia illustrates this ambition and we look forward to bringing our strong expertise in technology transfers to complex naval programs to develop industrial and The operational capacity of the Indonesian Navy. " The DCNS Belharra, the 4.000 tonnes FTI digital frigate.